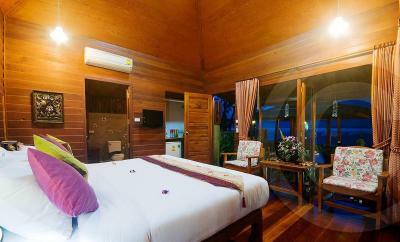 Lock in a great price for Lipa Bay Resort – rated 8.3 by recent guests! 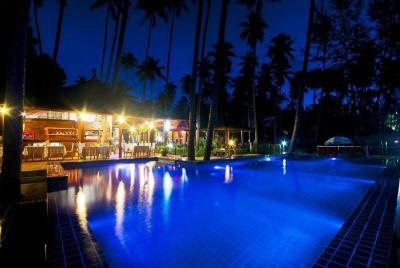 Location is amazing, swimming pool and the view is beautiful. Food ok, expensive. We absolutely love this place. Have been here twice and each time had an excellent experience. We had a little flaw with our booking, and even though the hotel was in the right to charge us for it, they didn't flinch to correct the mistake and it cost us nothing! 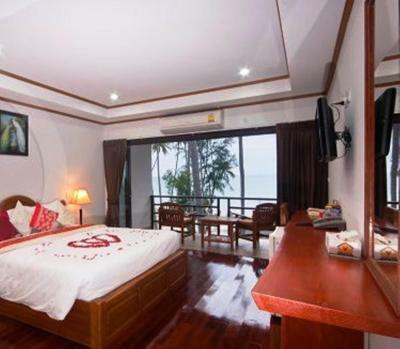 The rooms have amazing sea views for ridiculous prices. 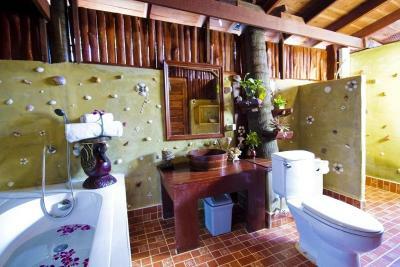 The air conditioning works really well and the bathrooms are clean and fully functional. The interior is modern and well balanced. 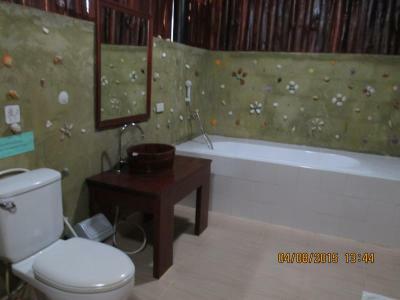 It's also very relaxed, but still close to town. 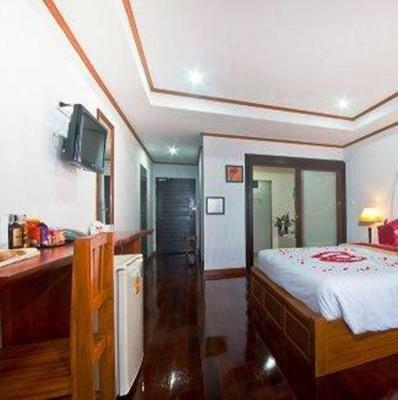 The rooms were very clean. The food in the restaurant was really good (but don't expect much from the breakfast). The staff were friendly. They offered motorbike hire. 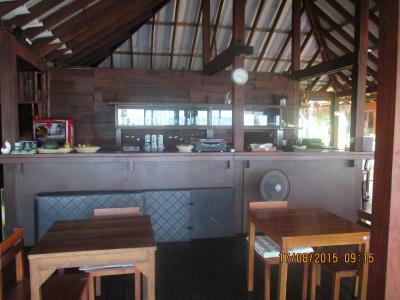 Fantastic location, very nice bungalow literally a 30 seconds walk to the in house restaurant, pool and beach. Superb. Loved my stay in the seaview room. 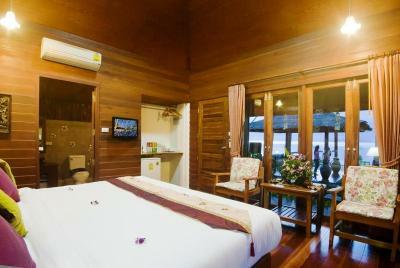 Bed is super comfortable, room spacious and very cosy and the view from the big balcony is just stunning. Everything was great except for mattress. Great AC, great room with view and balcony. 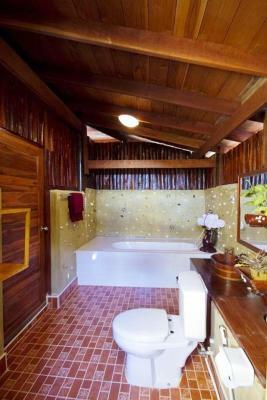 Large bathroom. Lots of towels. Good food in restaurant. Great breakfast options. Great WiFi. Friendly staff. We stayed there only one night and had to leave very early to get on a ferry at Lipa Noi pier. We got an upgrade to a room with a sea view and it was wonderful. Beach was nice, but we wouldn't dare to go swimming because there were a lot of jellyfish. However we enjoyed our swim in the pool and loved the amazing sunset. The restaurant was nice, we had Thai food and Pina Cola cocktail was also very good. 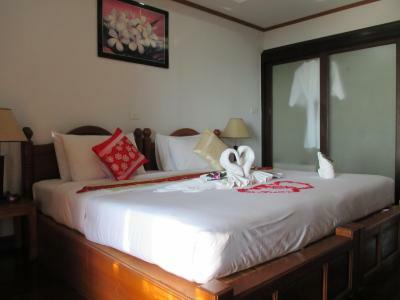 What we liked: huge room, large bathroom with bath and shower, nice terrace, very friendly staff, cleanliness, possibility to rent a motorbike. 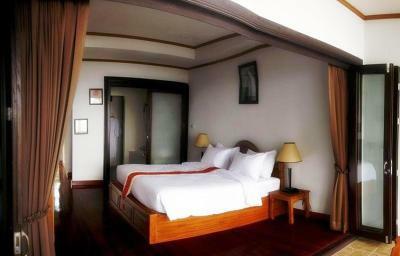 Lipa Bay Resort This rating is a reflection of how the property compares to the industry standard when it comes to price, facilities and services available. It's based on a self-evaluation by the property. Use this rating to help choose your stay! 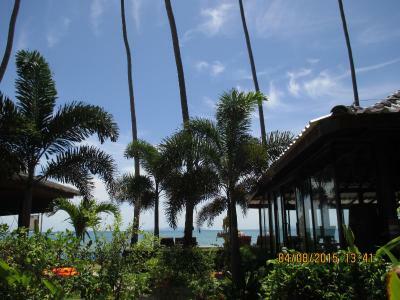 Lipa Bay Resort offers a private beachfront and rooms set in tropical landscapes. 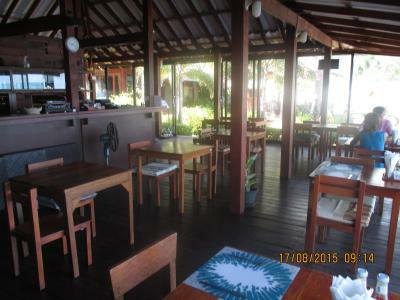 Featuring a bar with sunset views, it provides free bike rental and free Wi-Fi in public areas. 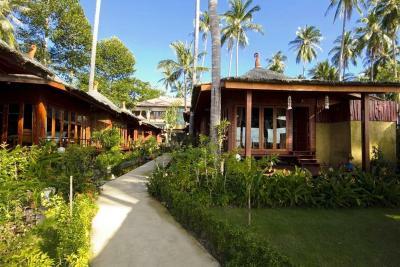 Steps from popular Nikki Beach night club, Resort Lipa Bay is a 10-minute drive from Lipa Noi Pier and a 45-minute drive from Samui International Airport. 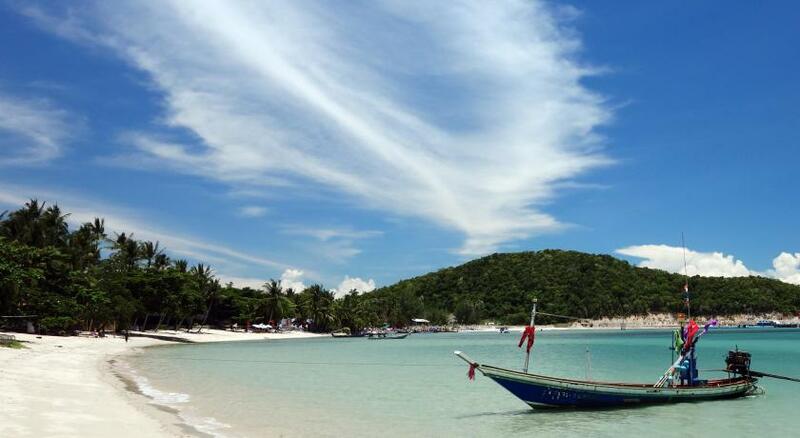 Chaweng Noi Beach is a 40-minute drive away, while Lamai Beach is a 30-minute drive away. Free parking is available. 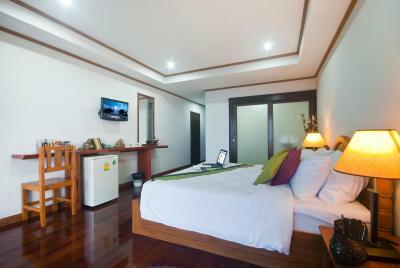 Featuring private balconies, air-conditioned rooms at Lipa Bay offer the comfort of classic wood furnishings, a flat-screen TV and fridge. 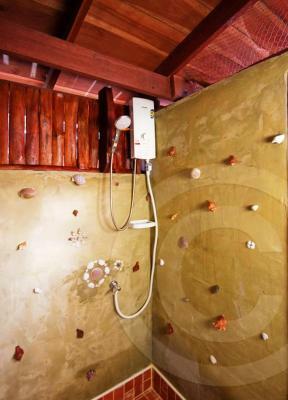 Private bathrooms come with a bathtub and heated shower facilities. 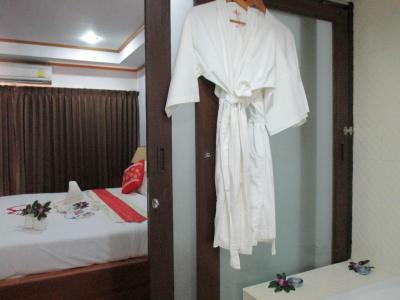 Guests can enjoy soothing massages or explore Samui’s attractions with the car rental service provided. The resort has an airport shuttle and free Wi-Fi at the lobby. 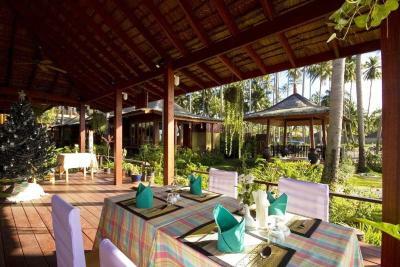 Stunning sea views accompany Thai specialties at casual open-air setting of Lipa Bay’s restaurant. 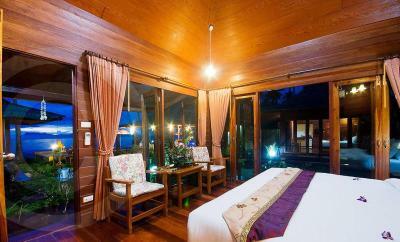 When would you like to stay at Lipa Bay Resort? 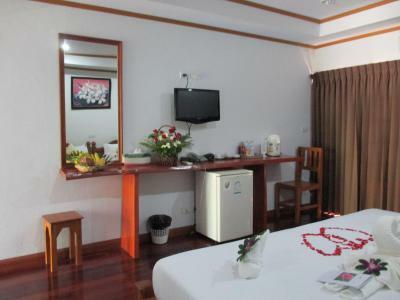 Air-conditioned rooms come with flat-screen TV, fridge and private bathroom. 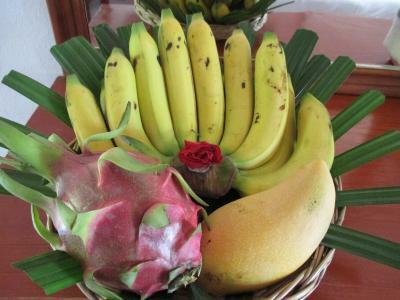 Suites offers fresh fruits upon arrival. 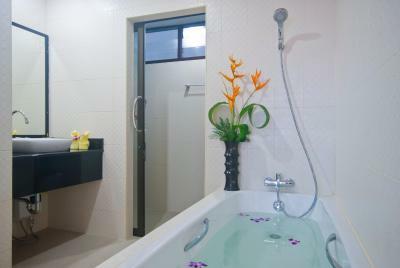 Features upgraded amenities like a tea/coffee maker. 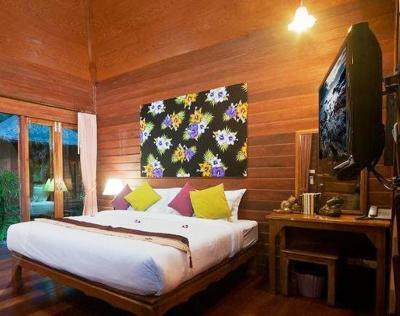 Standalone villas featuring a Thai decor and a tea/coffee maker. 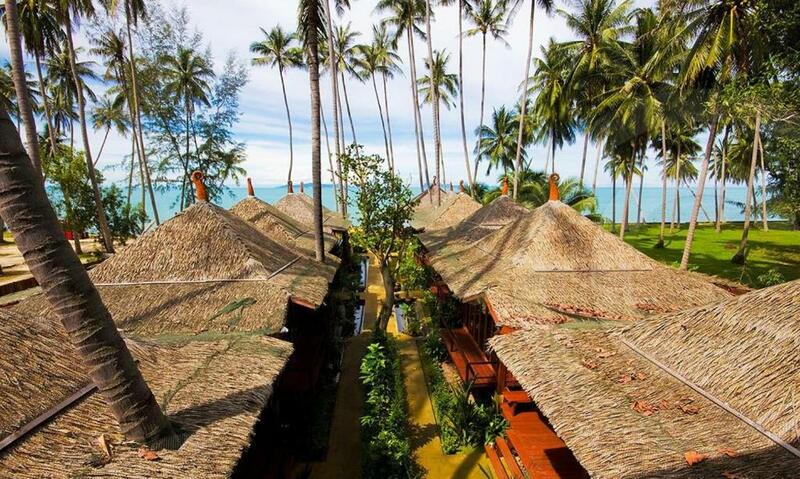 Offers views of the sea. 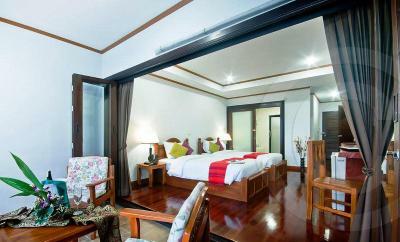 Offering views of the sea, air-conditioned rooms come with flat-screen TV, fridge and private bathroom. 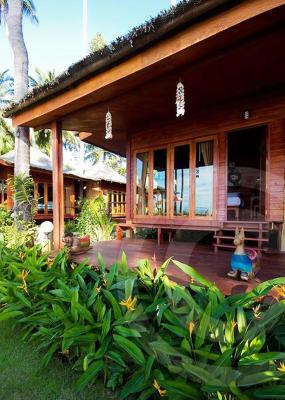 Standalone villas featuring a Thai decor and offers views of tropical gardens. 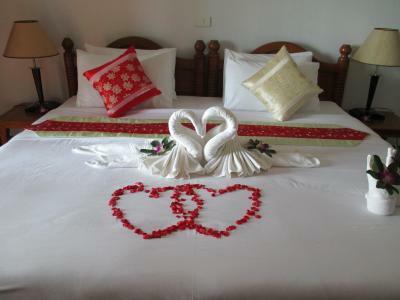 House Rules Lipa Bay Resort takes special requests – add in the next step! 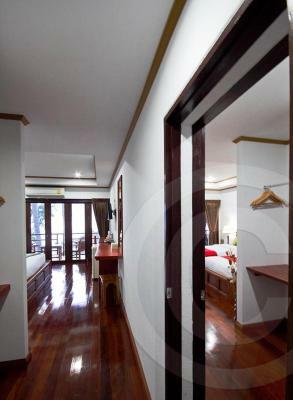 All children under 2 years are charged THB 100 per night in a crib. 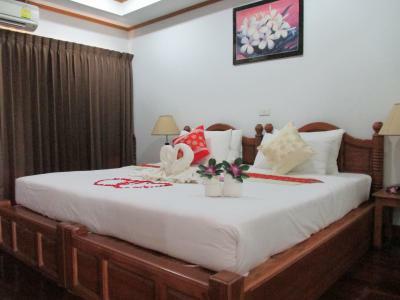 All children under 16 years are charged THB 500 per night for extra beds. 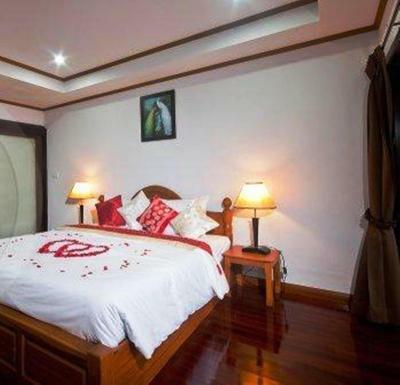 Any additional older children or adults are charged THB 600 per night for extra beds. 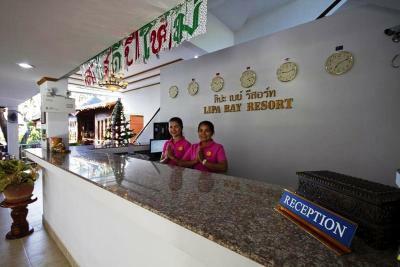 Lipa Bay Resort accepts these cards and reserves the right to temporarily hold an amount prior to arrival. Please note that reception hours are from 07:00 - 22:00 hrs. Please note that the road in front of the hotel is closed for a weekly walking street on every Thursday, from 15:00-23:00 hrs. 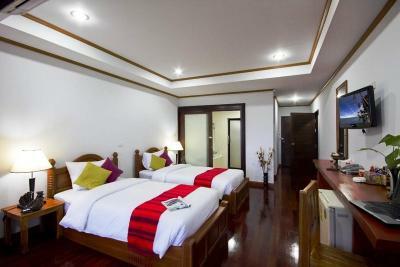 During this period, guests will have to walk to the hotel, which is located approximately 1,000 feet from the walking street entrance. A bit non-personal treatment by the stuff. Otherwise, everything was extra nice. The hotel is a bit far from main attractions. If you don't have a motorbike or bike it may be a bit problematic to take a text everywhere. Also: the hotel's bikes are quite awful. 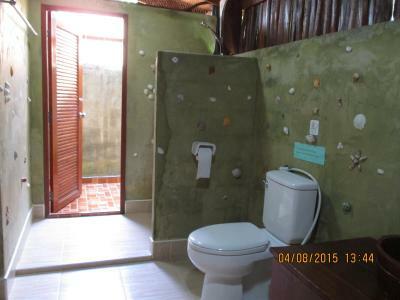 The facilities are quite dated. The bed was VERY hard - it gave me bruises on my hips! 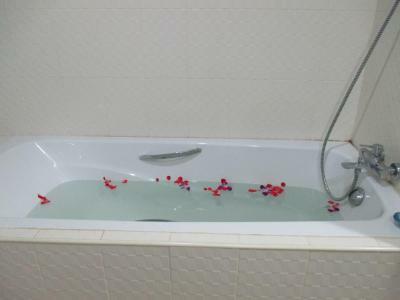 The shower was broken so had to use the one over the bath. 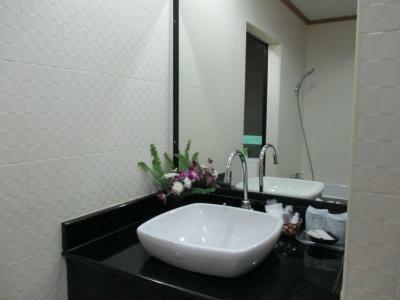 Some places nearby of a similar price are a little more luxurious - especially the facilities beyond the rooms. Staff in the restaurant definitely could’ve been friendlier. They were pretty miserable, but apart from that perfect stay. Shallow water and bit muddy bottom. Don't recommend to use credit card in the hotel, system isn't working properly so it feels bit unsecure. 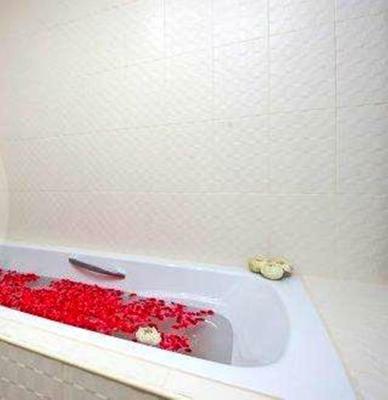 The beds were very hard. Far from good restaurants, only a few around. No safe. Our room was adequate, but a bit old, one of the towel racks fell off the wall. Most of the restaurants and shops are quite far if you want to walk. It wasn't clear from the photos which room/view we would have. The room was more basic than anticipated. What we didn´t like: beach in front of the hotel is not good, hotel is quite far away from everything (just close to the pier), breakfast could be better. 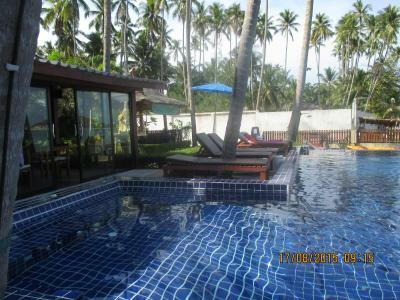 Good location right on the beach facing the sunset Good to relax or for a family It’s not in a busy area and we liked it The bedroom bungalow type was nice (except the bathroom ) Big and confortable bed Lovely garden and pool Clean beach Friendly staff If you go take the cheapest bedroom ! The restaurant gets close by 9:00 is very early. The rest were perfect. It's a basic accomodation really, but with a little effort it could have been better. Room was old, run down, in need of refreshing. Breakfast was catastrophic. The eating area would need improvement also! It was very anoying that for a small amount of money people could come in to the small pool area, making the place even more crowded. The umbrellas has a fabricated base (concret in paint bucket) and the wind blow it away twice while we were at the pool. Very dangerous. Fortunately no one got hurt. The door of the balcony was not closed on top so lizards and mosquitos could come in to the room. The room was smelled of smoking. There were a very small monitor on the wall and had only 4 chanels and all of them Thai. 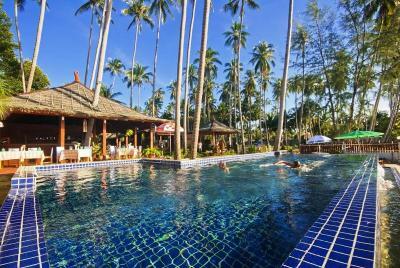 The garden is beautiful, the infinity pool also nice but no steps so a bit dangerous to get in and out. Beach also beautiful! 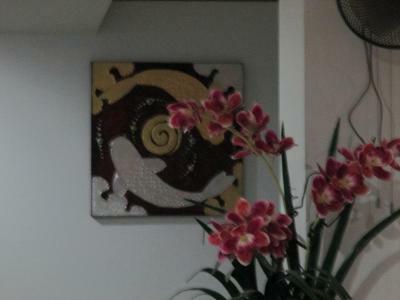 Staff was helpful and friendly but their English is very basic, nearly non existant. Their arranged transfer very quickly though. The place is close to the pier. Free bicycle provided.